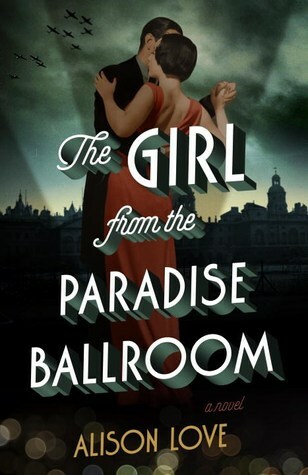 The Girl from the Paradise Ballroom by Alison Love begins before the British become embroiled in war again, at a time when a dancing, music, and art are in full swing. Hitler is making his moves, and as many foreigners have moved to Britain, they fear becoming targets because of the Fascist’s moves. In particular, an Italian community, which applauds Mussolini’s focus on making the fatherland great again, has growing concerns that they too will be swept up in the persecutions/internments of foreigners. Antonio and Olivia meet under less-than-ideal circumstances at the Paradise Ballroom, and despite the instant disgust, something simmers beneath he surface for both of them. In chapters that alternate between their stories from 1937 to 1947, Love weaves a tale of forbidden love, clashing cultures, and the pressures of war. Antonio is pressured by his brother, Valentino, to join the Fascists, but he does not believe in their cause, and even though he has an arranged marriage, he wants to provide for his wife on his own through his talents. Olivia is making her way in the world with the talents she has, dancing the tango, but even as she makes some ill-advised choices, she continues onward through the loneliness and pain. When war is clearly coming, Olivia marries a bohemian Englishman, Bernard, who soon becomes Antonio’s patron, helping him find a musical tutor and gigs in London. Bernard continues to be consumed with his work with refugees from the countries conquered by Hitler, and his wife is left to fend for herself much of the time. Her passionate nature cannot be denied for long, and the outbreak of war is the only thing that can suppress it. Love has created two characters driven by their passion for artistry, but each is confined by different circumstances — a strict moral culture and a fear of loss. The Girl from the Paradise Ballroom by Alison Love is more than a love story between two or even four characters, it is a look at how fear can cause even the most rational of us to employ terrible tactics to make ourselves feel safe. Despite a slow build, Love has created a memorable family in the Trombettas, and their struggles become emotional for the reader. Deadline is May 11, 2016. 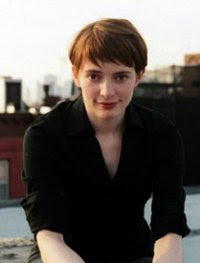 Alison Love is a novelist and short story writer. Her debut novel, Mallingford, published in the UK and Germany, was described in The Times as ‘the kind of book that reminds one why people still like reading novels’, while her second, Serafina, is set amidst the political intrigues of 13th century Amalfi. Her latest novel, The Girl from the Paradise Ballroom, has been published in the UK, the USA and Germany (as Das Lied, das uns trägt). 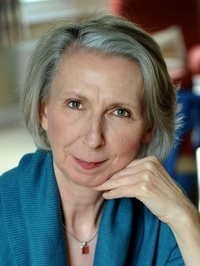 Alison’s short stories have appeared in several magazines and anthologies, and her story Sophie stops the clock was shortlisted for the Bristol Short Story Prize in 2013. 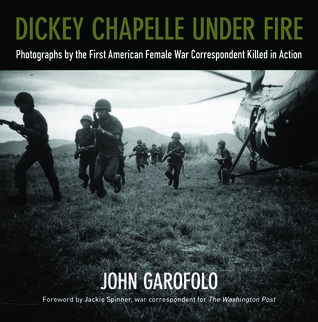 Dickey Chapelle Under Fire: Photographs by the First American Female War Correspondent Killed in Action by John Garofolo, which includes a foreword by former Washington Post war correspondent Jackie Spinner, is dedicated to the brave men and women who serve the United States, which also includes those war correspondents who risk their lives right alongside those with the weapons to uphold freedom. Their weapons may be different — pens and cameras versus guns and grenades — but both serve their country and the cause of freedom with devotion. In the foreword, Spinner indicates that when Dickey Chapelle died in Vietnam, she died as a Marine because that’s how the marines who were by her side thought of her. She started her career young, present at the battles of Iwo Jima and Okinawa in WWII, experiencing the reconstruction of Europe after WWII, and traveling to nations in which rebellions were bloody and devastating before she reached the front lines of the Vietnam War in her 40s. Georgette Louise Meyer, later known as Dickey, was born in Wisconsin and she dreamed of flying. While she did eventually take flying lessons against her parents’ wishes, she wasn’t that great at it. She was great at telling stories and seeking out those stories around military installations. Her passion for stories led her to flunk out of MIT, and while she did return home and later moved to Florida, she soon found herself in New York City at age 18, writing for Transcontinental and Western Air (TWA) in the publicity bureau. Taking photography lessons on the side with Tony Chapelle led to a new career and husband. She soon became a war correspondent during WWII so that she could travel with her husband, a WWI veteran who re-enlisted. “The wreckage resulting from man’s inhumanity to man … was the litany I wrote and the subject I photographed. And the magnitude of relief devised never matched the magnitude of the suffering caused,” said Chapelle in What’s a Woman Doing Here? Garofolo has selected and organized Chapelle’s photographs in such a way that they will have readers running the gamut of emotions. Among the WWII photographs, Chapelle captures not only the immense suffering of a solder caught in a fire during a mine explosion — he was severely burned — but she also highlights some of the happier moments for soldiers, like when they received mail from home or were able to finally shave after gunfire stopped. The moments when soldiers are smiling or doing mundane activities are those that remind us that these soldiers are people, not machines. Not all of her work was on the battlefront, Chapelle also found herself drawn to relief work in a variety of countries, and this work still placed her in a great deal of danger, including her own capture by Russians near the Austria-Hungary border. Dickey Chapelle Under Fire: Photographs by the First American Female War Correspondent Killed in Action by John Garofolo is a book dedicated to the memory of not only Chapelle’s body of work, courage, and dream of flying, but also to the women and men who suffered greatly in wars and conflicts across the globe — whether they were soldiers, nurses, or refugees. My first book for the Best of 2016 list. John Garofolo is a former entertainment industry executive and veteran of Operation Iraqi Freedom. A commander in the US Coast Guard Reserve, he has more than twenty-five years of active and reserve military service and taught at the Coast Guard Academy. Thanks to a grant from the Brico Fund through the Milwaukee Press Endowment, he has written a stage adaptation of Dickey Chapelle’s life. John earned a PhD from the University of Southern California School of Cinematic Arts and lives with his wife and daughter in Southern California. 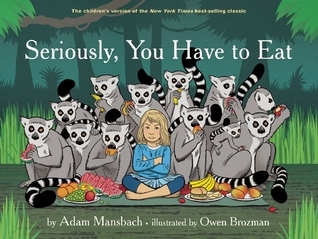 Seriously, You Have to Eat by Adam Mansbach, illustrated by Owen Brozman, is similar to his previous book about the struggles of parenting, though this one is a little more kid friendly. Rather than rely on the outrageous language and profanity, this book focuses on the food asked for an not eaten, the animals that eat no matter what is given to them by their parents, and the astonishing amount of energy that kids seem to have even if they do not eat their meals throughout the day. My daughter was not as tickled by this book as I would have thought. The illustrations are fine and the rhymes are pretty good for the most part, but she may not have seen the sarcastic humor in this one. It may still be a little more geared to those struggling parents, than their kids. Beyond the struggles with getting kids to eat, this one also touches on the little battles over what kids want to wear versus what they should be wearing to school. There is one moment in the book in which the child is given milk to drink and the “kitchen” is closed, but the parent grabs a drink that smells like “peat.” As a parent of a young child — we glossed over this part — I’m leery of introducing the idea that alcohol is a way to “solve” or deal with problems. Yes, parenting is stressful, and yes, parents may take a drink to unwind, I’m just not sure that’s a message kids should be learning. Seriously, You Have to Eat by Adam Mansbach, illustrated by Owen Brozman, is a book more fore parents than children, even though the language is less profane. Even if parents share this book with their kids, they may want to gloss over certain things or change them up a bit. 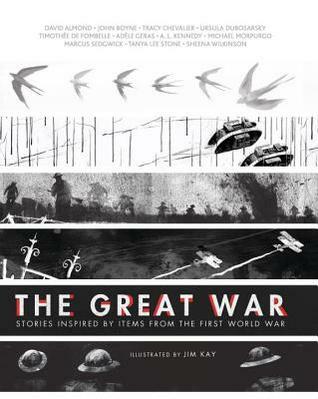 The Great War: Stories Inspired by Items from the First World War illustrated by Jim Kay is an engaging way for young readers (age 10+) to learn about World War I through the touchstones and artifacts left behind by soldiers, their families, and the war itself. From a writing case to a toy soldier, these stories draw inspiration from these objects, building a world in the past that could be as real today as it was then. There are stories from Michael Morpurgo and Tracy Chevalier, and like many short story collections some stories shine brighter than others, with “Captain Rosalie” being bitter sweet and “Our Jacko” inspiring. These stories will evoke deep emotions in readers, as they learn not only about the realities of war and loss, but also the connections we have to objects that come from our ancestors. Beyond the short stories told in this collection, there is one, long narrative poem, “A Harlem Hellfighter and His Horn,” which mirrored the rhythm and blues played by the main character. But it also highlights the desire to seize the moment when it comes, rather than wait until its gone to desire it. War can break a man. Each of these pieces brings forth some of the hidden feelings of those left behind by soldiers and those who are less than eager to fight, but they also illustrate the complexity of war and its allure. Kay’s illustrations are in black and white and give the collection just the right amount of gruesome horror, but these are accompanied by facts about the war from women entering the workforce and the types of jobs they assumed to the conditions of the trenches. The Great War: Stories Inspired by Items from the First World War illustrated by Jim Kay would be a great addition to any classroom willing and able to go beyond the traditional teachings of just WWII and other wars. WWI was an important part of history that should not be forgotten, as it illustrates not only the brutality of ambitious people, but also the realities of bravery and cowardice, particularly through the eyes of children who are left behind. 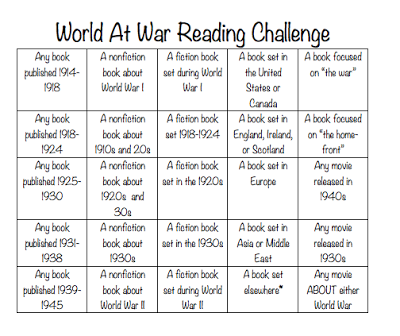 Filed Under: 2015 War Through the Generations - Read Any War, ARC, challenges, fiction, historical fiction, Library Thing Early Reviewers, New Authors Challenge, poetry, Publishers/Publicists, Read in 2015, reviews, short stories Tagged With: Candlewick Press, Jim Kay, The Great War: Stories Inspired by Items from the First World War, Walker Books Ltd.
Puckster’s Christmas Hockey Tournament by Lorna Schultz Nicholson, illustrated by Kelly Findley, is a story about reaching your goals and remembering that family and friends are the most important parts of our lives. Puckster helps out Canada’s National Junior Team, organizing their sticks and water bottles to ensure they are prepared for the game. He’s getting ready to travel with the team for the championship game, and his family and friends are to meet him there on Christmas day. While the message is good and clear, children who are unable to read the story on their own may find there is too much text to follow. While the pictures are cute, there is little action in the story and a lot of exposition. My daughter listened to the entire story, though I would stop reading the text to have her identify the animals in the pictures to keep her attention on the book. She said after reading it that she didn’t like when Puckster pretended to be Santa Claus by pasting wet paper towels to his face. She said that was not nice, though she may not have understood that he was trying to do something nice for his friends. 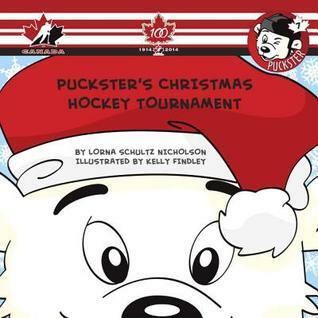 Puckster’s Christmas Hockey Tournament by Lorna Schultz Nicholson, illustrated by Kelly Findley, is a cute little book about what family and friends mean to us and how they should always be important. This book, however, is a little bit beyond what my daughter is ready for, but would be good for kids ages 5+. 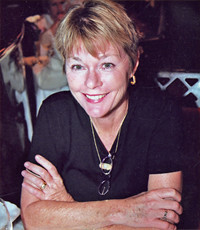 Lorna Schultz Nicholson is a full-time writer who has published over 20 award-winning books, including Roughing! and Northern Star. Her nonfiction book, Home Ice, was on the Globe and Mail bestseller list for many months and was a top selling sports book during the 2010 Olympics in Vancouver. Lorna divides her time between Calgary and Penticton, where she and her husband share their homes with their crazy Mexican dog, Poncho,and a whiny bichon-shih tzu Molly. Mister H by Daniel Nesquens, Illustrated by Luciano Lozano, is an early readers chapter book and a little too much to read in one sitting for younger children, like my daughter. For these younger kids, it is best to break it up by chapter for readings so the kids can see the accompanying illustrations, which are delightful, and absorb the story more thoroughly. Mister H is a hippo in search of Africa, his true home, and while he persuades a young girl to free him and leaves the zoo, the conclusion to the story is not a happy ending. Some may find this disappointing, but in many ways, it will help children learn that happy endings are not always available upon first try and that additional chances should be taken. Nesquens uses a lot of words in this tale and these words can be sometimes large for younger readers, but with help from parents and teachers, kids should be able to sound out these larger words and add to their own vocabularies. Mister H is a tolerant animal in the park who plays with two rambunctious boys and when he is demeaned by a snooty lady in a pizza parlor. Throughout his adventures children will learn how to be persistent in reaching their goals and how to brush off meanness without resorting to similar tactics. Mister H by Daniel Nesquens, Illustrated by Luciano Lozano, offers a great deal for children to learn about how to interact with others, especially those different from themselves, and how to keep trying even if at first they don’t achieve their goals. 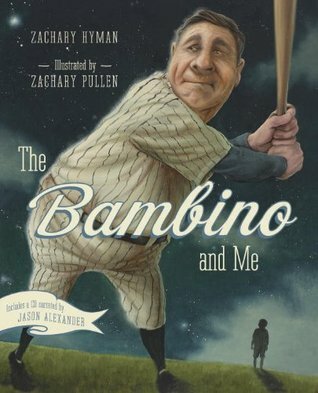 Wonderfully illustrated, and observant kids will have fun picking out the happenings that go on beyond just the text. Daniel Nesquens has been writing children’s books for over ten years. He has published more than thirty titles, including My Tattooed Dad (Groundwood). Luciano Lozano is a professional illustrator whose work has appeared in books, newspapers, and magazines. He lives in Barcelona. Visit his website. 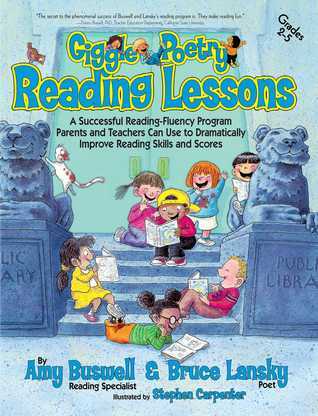 Giggle Poetry Reading Lessons by Amy Buswell and Bruce Lansky, illustrated by Stephen Carpenter is a guide for educators and parents who have students in grades 2-5 who struggle with reading and comprehension. In the introduction, the authors state that no matter how good a remedial program is, it cannot improve readers’ skills if they are disengaged. Rather than require these struggling students to read text they find boring, why not create a program with texts that students don’t want to put down — the premise of this book. Using the poems of Bruce Lansky, which Buswell says have been kid tested, she says that her program accompanied by illustrations from Stephen Carpenter enabled 95 percent of students to demonstrate marked improvement in their reading and 90 percent showed gains in comprehension. There are a number of tips broken down for both teachers and parents to help their child improve their reading fluency. There is a lesson plan overview and an explanation of how the lesson supports the goals of the Common Core State Standards, which have been adopted in more than 40 states. went for a ride on a lion. There are performance tips on each page where the poems are written out and illustrated, because parents and teachers know that younger readers prefer when you can gesture or demonstrate action beyond raising and lowering the pitch of your voice when reading aloud. 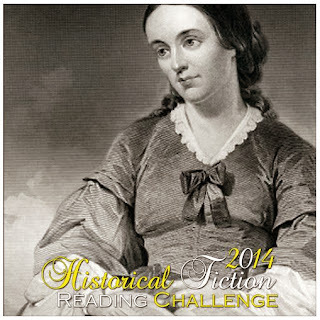 Anything to make the poem come alive can help the readers stay engaged. While this is geared for readers older than my daughter, she and I have been reading along together for some time, and she’s beginning to recognize words in books we’ve read before. As she continues on her reading and learning, this book will be an excellent supplement to what we already do and what she will begin doing when she gets to kindergarten in a couple of years. Giggle Poetry Reading Lessons by Amy Buswell and Bruce Lansky, illustrated by Stephen Carpenter has engaging poems that are funny and unexpected, but it also has substantive lessons that can help students overcome not only their fears of reading but other troubles in their lives. These poems will help them deal with embarrassing situations, other emotions, and situations that surprise them. Amy Buswell is a reading specialist who teaches in West Palm Beach, FL. Her entertaining “reading lessons” have dramatically raised the reading skills and scores of the students who attended schools at which she has taught. Stephen Carpenter is the illustrator who has helped 16 “Giggle Poetry” books come alive with hilarious illustrations. He lives just outside Kansas City with his wife, Becki, and their sheepdog, Lulu. Bich Minh Nguyen’s Short Girls is a story of Vietnamese, second-generation immigrants Linny and Van Luong and their family. Their father, a loner and inventor, holding them at arms length, and their familial history is obscured by stories and silence. The story is broken into alternating chapters about each young woman, though written in a point of view that is more like an observer with each woman’s inner thoughts are revealed — much of this complaints or observations about how different they are from one another. Van is an immigration lawyer with the “perfect” life, or at least that’s how it seems to her sister, Linny. Linny, on the other hand, has a free life where she can act and do as she desires on a whim without responsibility — at least that’s how it seems to her sister. The tension between these sisters is vivid, but in many ways could have been better executed without the internal dialogue complaints about the other sister at every turn or before each memory surfaced to demonstrate their differences. Van’s world has been falling apart slowly, and now she is set adrift without a compass and without a husband. She struggles to keep her drama to herself and to overcome the emptiness in her home and her life. Meanwhile, Linny has to come to grips with her errors and her drifting life to make her dreams come true, while at the same time support her sister and her father, who continues to struggle to find success. Nguyen’s Short Girls is a look at racial discrimination, height discrimination, immigrants looking for their place in a society that welcomes and shuns them, and finding once self amid the melting pot and one’s own family, while trying to accept your family’s own faults and ideas about success and love. 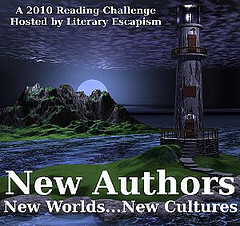 This is my 20th book for the 2010 New Authors Reading Challenge. FTC Disclosure: Thanks to Library Thing Early Reviewers and the Viking for sending me a free copy of Short Girls for review. Clicking on title and image links will lead you to my Amazon Affiliate page; No purchase necessary, though appreciated. 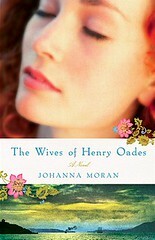 Johanna Moran’s The Wives of Henry Oades begins with the journey of a young family to New Zealand from England, but once on foreign soil, the family is met with tragedy. Henry Oades leaves New Zealand for a new life in America where he becomes a farmer and rebuilds his life. The story is based upon a 19th century court case involving a man with two wives, according to Moran’s Website. 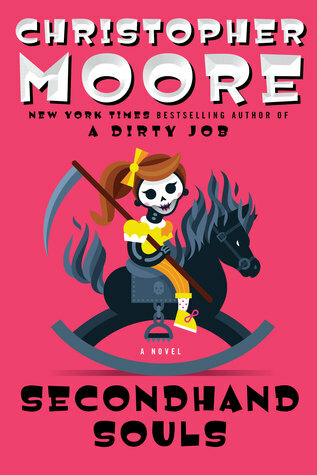 Moran’s story is unique and even more intriguing because it has a basis in fact, but in many ways the writing is stilted and it is difficult for readers to picture the settings in detail. Additionally, there are some details that could be excluded in favor of speeding up the plot, which drags for the first 75 pages. Margaret is a prim woman from a proper English family, who is thrown into a colony where not everyone is as well-bred as she is. There’s a period of adjustment for the Oades family, but even that adjustment is just the beginning. With much of the point of view focused on Margaret, the sudden shift to Henry’s viewpoint once Margaret and the kids disappear from his life is a bit jarring. Readers could find that they are not as well connected with Henry and that he is not as developed as Margaret’s character. This stumbling block can take a while to overcome, but then readers are thrust into another story, that of Nancy Foreland, a recently windowed, pregnant woman. Despite these drawbacks, the struggle of Margaret and Nancy to adapt to a new situation in which they both find themselves as the wives of Henry Oades will keep readers turning the pages. Overall, The Wives of Henry Oades by Johanna Moran is a detailed account of one family’s immigration journey and an exploration of what it truly means to be a family. 1. Leave a comment on this post about what court case you’ve found fascinating. 2. Blog, tweet, Facebook, or otherwise spread the word about the giveaway and leave me a link in the comments. Johanna Moran comes from a long line of writers and lawyers. She lives on the west coast of Florida with her husband, John. The Wives of Henry Oades is her first novel. This book is my 15th book for the 2010 New Authors Challenge, and thus signifies my completion of the challenge, though I could be reading more new-to-me authors throughout the year. If you are interested in the rest of the TLC Book Tour for The Wives of Henry Oades , check them out. 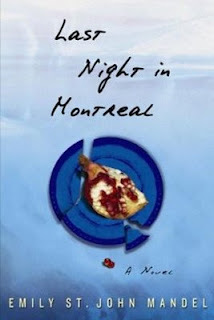 Emily St. John Mandel’s Last Night in Montreal, a debut novel, reads like sketched notes in a private investigator’s notebook. With chapters that alternate between the past and present and a variety of characters, readers will feel like they are investigating a child abduction case, while garnering a better understand of human motives and emotions. Lilia Albert is abducted by her father, and as they move around the United States in and out of hotels, her sense of home is vanquished. She no longer knows how to stop and settle into a “normal” life. As an adult she continues to move from place to place, carrying with her the only photograph from her past that she has–a Polaroid of her and a waitress. Lilia is a complex character, her emotions deep below the surface, and she meets a variety of people along the way–Eli, an art gallery salesman working on his thesis; Erica, a girl from Chicago with blue hair; and Michaela, an exotic dancer and part-time tightrope walker from Montreal. Mandel peppers each chapter with just enough description and information to keep the pages turning, as readers strive to uncover the moment when Lilia’s life changed and why it changed. But this mystery is more than what happens to Lilia, it’s about how an obsession can rip apart a private investigator’s family, encourage an ex-lover to step outside his comfort zone, and the myriad ways in which humans react to disturbing events from the past. Readers will itch to reach the resolution of this abduction case, not only to discover why Lilia’s father took her from her mother and brother, but also to see Lilia recover many of her earlier memories settled behind the dust kicked up by her continuous travels. The one minor drawback could be the chapters featuring the private detective and his obsessive pursuit of Lilia and her father even when he no longer desires their capture; these chapters dispel some of the suspense built up in previous chapters. However, Eli, Michaela, and Lilia’s story lines twist and mingle throughout the novel, and Mandel does well shifting between points of view. Last Night in Montreal is not a typical mystery, but still satisfying. Check out this video for her book. If you missed Emily’s guest post on Savvy Verse & Wit about her writing space, please check it out, here.